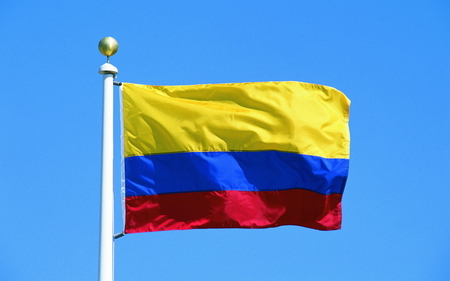 A groundbreaking agreement has been reached between the Colombian government and FARC, the Marxist guerilla group. Peace negotiations have been taking place in Havana, Cuba since November 2012. What won’t be amnestied: The amnesty will not extend to crimes against humanity, genocide, serious war crimes, hostage-taking or other serious privation of liberty, torture, forced displacement, forced disappearance, extrajudicial executions, or sexual violence. “These crimes will be subject to investigation and trial by the Special Jurisdiction for Peace. Who must face justice: The Special Jurisdiction for Peace will cover everyone who, “whether directly or indirectly, may have participated in the internal armed conflict, including the FARC-EP and state agents, for crimes committed in the context and for the purpose of the conflict, with particular respect to the most serious and representative cases.” This may mean that crimes committed by armed actors outside the conflict—like the “false positive” extrajudicial executions—may have to remain in Colombia’s regular criminal justice system. It probably also means that civilians who participated in war crimes, such as landowners who generously sponsored paramilitary groups that committed mass atrocities, could be investigated and tried by this new judicial structure. Penalties for those who deny “the truth and their responsibility,” or who recognize it later in the process: These individuals will be put on trial before the Tribunal for Peace. Those who recognize their guilt later will go to regular prisons for five to eight years, during which they will “contribute to their re-socialization through work, training, or study.” Those who persist in denying responsibility for serious crimes will be tried and, if found guilty, sentenced to up to 20 years in regular prisons. Special Jurisdiction for Peace requirements: To receive reduced sentences and “special treatment,” the accused must “contribute full truth, provide reparations to victims, and guarantee non-repetition” of their acts. Disarmament requirement: FARC members must cease to use weapons. (The text uses the phrase “dejación de armas,” which means “leaving behind” or “laying aside” weapons. This is different from an immediate handover or destruction of guerrilla weapons.) This disarmament or “laying aside” process must begin no later than 60 days after the signing of a final accord. FARC future as a political movement: “The FARC-EP’s transformation into a legal political movement is a shared objective, which will receive all support from the government, in the terms that are agreed to.